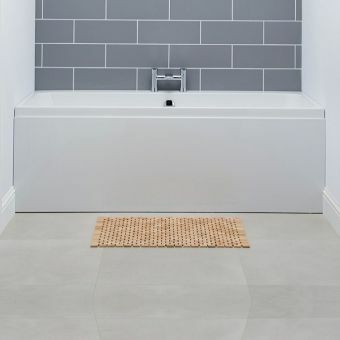 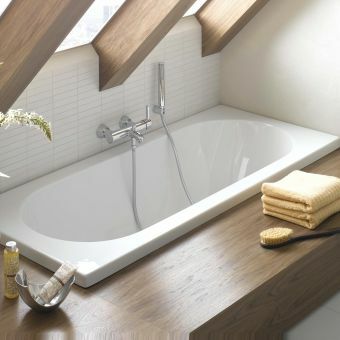 Large and spacious, the Carron Equation Double Ended Bath is a genuine sanctuary in which to unwind. 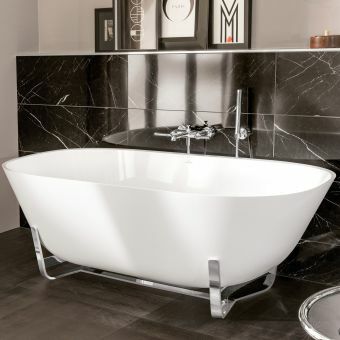 Sculpted into an attractive, curvaceous form, it incorporates ample decking space to accommodate a range of brassware options. 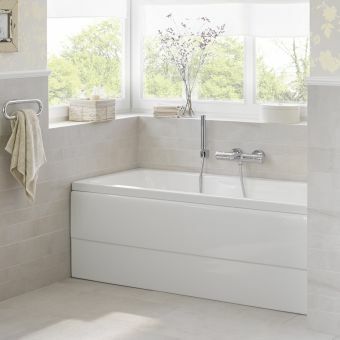 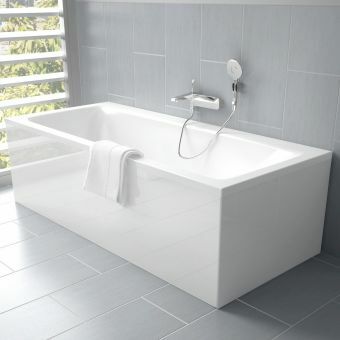 Fitted with attractive inner curves, it provides ample space and support for a thoroughly relaxing soak. 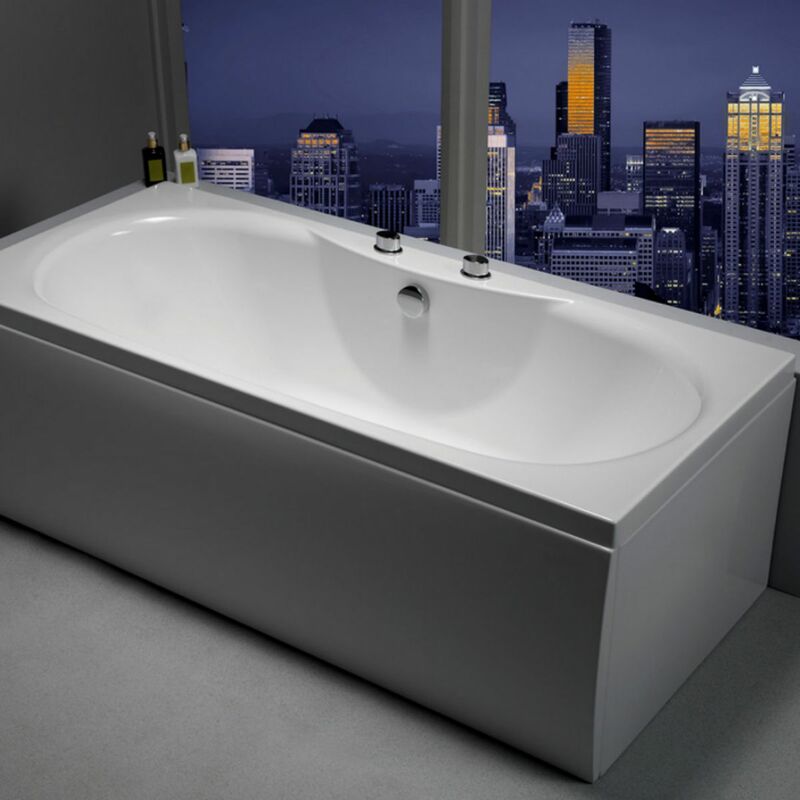 Coming in two sizes of 1700mm or 1800mm in length, its capacity of 240 litres allows for total immersion. 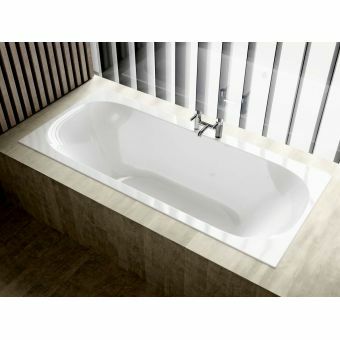 Available in either 5mm acrylic, or the scratch resistant Carronite, it retains heat efficiently, radiating it around the tub. Bath dimensions measure 1800mm by 800mm by 540mm, or 1700mm by 750mm by 540mm. 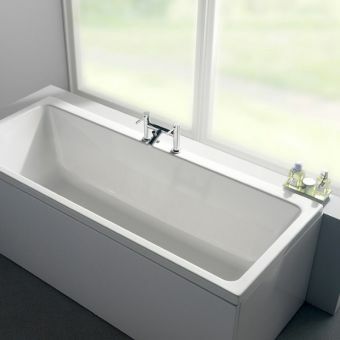 A twenty year guarantee is supplied with acrylic baths, while a thirty year guarantee comes with Carronite baths as standard.